Statement: In the Garden is inspired by Edward Wilson’s hypothesis on Biophilia, that humans have an innate tendency to search out nature. 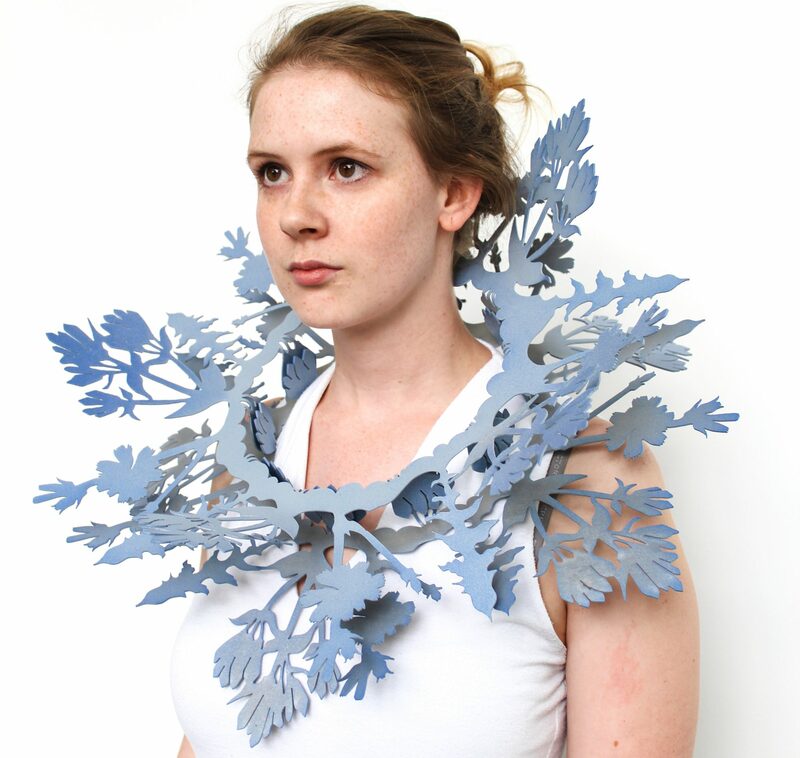 Rachel Suzanne Smith’s pieces become little habitats that connect others to the outdoors when worn. The flora that appear in her work shift between naturalistic and curated, reflecting how garden and green spaces are designed. Smith is a multi-media artist, metalsmith, and educator who currently works out of her studio in Stow, Ohio and teaches at Kent State University. She received her undergraduate degree at Miami University in Art Education with minors in 3D Media Studies (jewelry/metals) and Spanish. She received her MFA in Crafts (Jewelry Metals Enameling) at Kent State University.